HODC is committed to expanding housing opportunities in Chicago’s northern and northwest suburbs. We develop and manage affordable homes for low- and moderate-income households. HODC developments include both affordable owner-occupied and rental units. Cary Senior Living is sponsored by HODC and will be a new-construction, 62-unit, multistory building intended for seniors age 62 and older. All units will be restricted to households at or below 60% of the Area Median Income (AMI). The intended unit mix will include one- and two-bedrooms. Project amenities will include a fitness room, library/game room, common laundry rooms, and an on-site property management office. Additional unit amenities will include a dishwasher and microwave. Local neighborhood amenities include full-service grocery and pharmacy, access to the McHenry County park system, and restaurants. 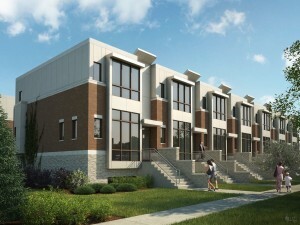 Heart's Place will be a new construction apartment building at 120 & 122 E. Boeger Drive in Arlington Heights. Designed as a small permanent supportive housing development, Heart's Place will be an 18-unit apartment building targeted towards people living with disabilities who need access to supportive services. The unit mix will include 1 & 2 bedroom apartments of various sizes targeted to different referral lists, all qualified as supportive households. On the first floor there will be a mix of ancillary residential spaces including offices, laundry and a community room. Outside there will be a gazebo, ample parking and attractive landscaping. Prospect Townhomes in Niles offers 12 units of supportive housing for low income residents with disabilities. Each townhome is two stories with a full basement. The living room, dining room, kitchen and bathroom are on the first floor with 3 bedrooms and a bathroom upstairs. One unit has an elevator and ramp for accessibility. 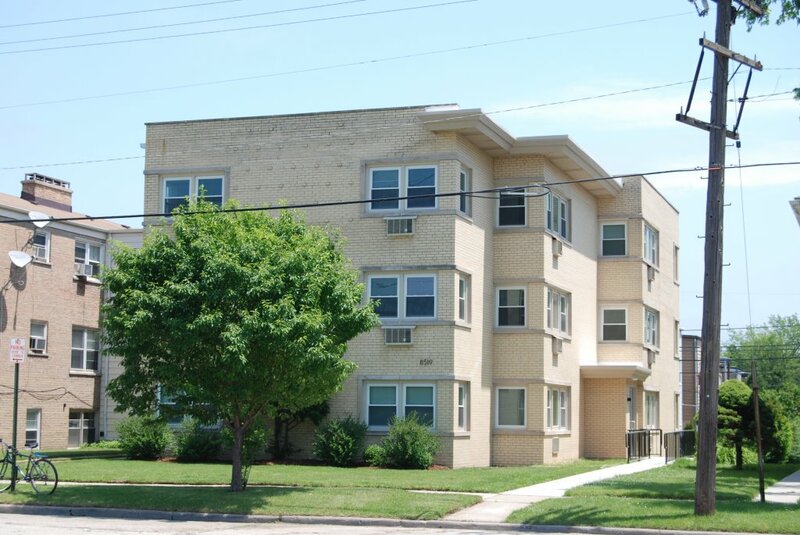 Located at 3235 Milwaukee Avenue in Glenview, Axley Place is a supportive housing development that offers 13 units with 8 one-bedroom, 2 two-bedroom, and 3 three-bedroom apartments. The development consists of two buildings, one with 5 units and one with 8 units. The buildings are two stories with the first floor built at-grade for accessibility. On-site amenities include a management office with meeting rooms for case management, a laundry room and storage. The site is fully landscaped with garden plots for residents to use. The development is energy-efficient and certified green. 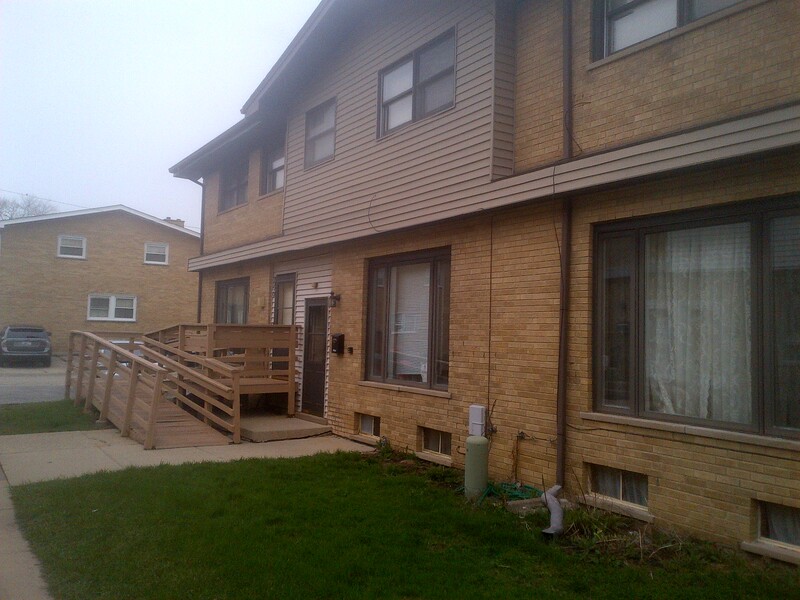 In 2015, Housing Opportunity Development Corporation developed four buildings in Skokie as a permanent supportive housing program for people with disabilities. There are 18 units of one- and two- bedrooms apartments. Supportive services are provided by local social service agencies. HODC partnered with Deerfield Senior Housing to rehabilitate two homes in Deerfield to provide affordable housing for large Deerfield families. Hyacinth Place was developed through a partnership with Brinshore Development LLC, the Highland Park Illinois Community Land Trust, the City of Highland and HODC. It consists of fourteen architecturally-sensitive, sustainably-designed dwelling units including ten 1,600 square foot townhomes with attached garages and four 1,200 square foot apartment flats. All units have 3 bedrooms and 2 bathrooms. The 10 homeownership units were sold at attainable prices for low and moderate income households in Highland Park. Sales prices were initially $149,000 to $219,000. The 4 rental units were targeted to households whose income is less than 60% AMI. Preference is given to Highland Park residents and employees including teachers, nurses, civil servants, policemen, firemen, and retail employees. Financing came from a mix of grants and soft financing to write down the cost to buyers. Hyacinth Place is a model for affordable green housing. The development includes geo-thermal heating and cooling systems, wind turbine energy generation for common areas, permeable courtyard paving, Energy Star appliances, renewable bamboo flooring, non-toxic paints and stains and the use of native plants. HODC partnered with Turnstone Development Corporation, a nonprofit affordable housing developer, to acquire and preserve this existing affordable building. The property had an expired rental assistance contract from HUD and was put on the market by the owner. The Village of Morton Grove supported preserving the building as affordable senior housing and provided bond cap to finance the mortgage. HODC took over management upon acquisition in August 2003. The building provides homes for 56 low-income senior citizen households, many of whom moved in to the building when it was originally constructed in 1980. Since the building has project-based rental assistance, tenants pay just one-third of their income towards rent with the remainder covered by HUD. HODC provides flexible management services so that tenants can continue to live independently and with dignity. Rehab included replacing the building's roof, kitchens and windows. Additionally, the community room was reconfigured to make it more spacious and the building manager's office moved adjacent to the lobby to improve visibility and safety. An on-site Service Coordinator enhances lives by providing weekly programming and monthly special events. HODC developed this building in collaboration with the nonprofit organization WilPower. WilPower is a social service organization located in Northfield that provides housing and services for adults coping with mental illness. In June 2001, HODC and WilPower combined forces to submit a grant application to the U.S. Department of Housing and Urban Development (“HUD”) for Supportive Housing Program funds. The building’s four-bedroom units are very large, each containing a spacious living room, full dining area, and eat-in kitchen. HODC and WilPower began rehab in January 2003. Rehab included installing a new kitchen on the first floor, replacing flooring throughout the building, and renovating the basement to include office space for WilPower staff. The building is now home to eight WilPower clients. HUD provides funding for supportive services and 24-hour case management staff. Permanent Housing for Homeless Households is owned and managed by HODC and provides two units of permanent supportive housing for homeless families who have a disabled family member and at least one child under the age of 18. Clients are homeless families from the northern suburbs with an adult diagnosed with a serious mental illness. The housing consists of one three-bedroom single-family home located in Northfield and one large three-bedroom townhome in Northbrook. Supportive services consist of case management; vocational/educational assessment, training, counseling, placement, support and follow up; life skills training focused on parenting and daily living skills; budgeting and debt reduction counseling; physical and mental health services; family counseling, child care, transportation, advocacy and other support as needed by each family and as spelled out in the family’s service plan. The WINGS building opened August 2003. HODC provided development consulting for the nonprofit organization WINGS Program, Inc. to purchase and rehab this building. WINGS Program, Inc. is a nonprofit social service organization that provides housing and services for women and children in need. When WINGS purchased the building, it was in terrible condition. The previous owners did not maintain the building and a fire destroyed the inside of one apartment. 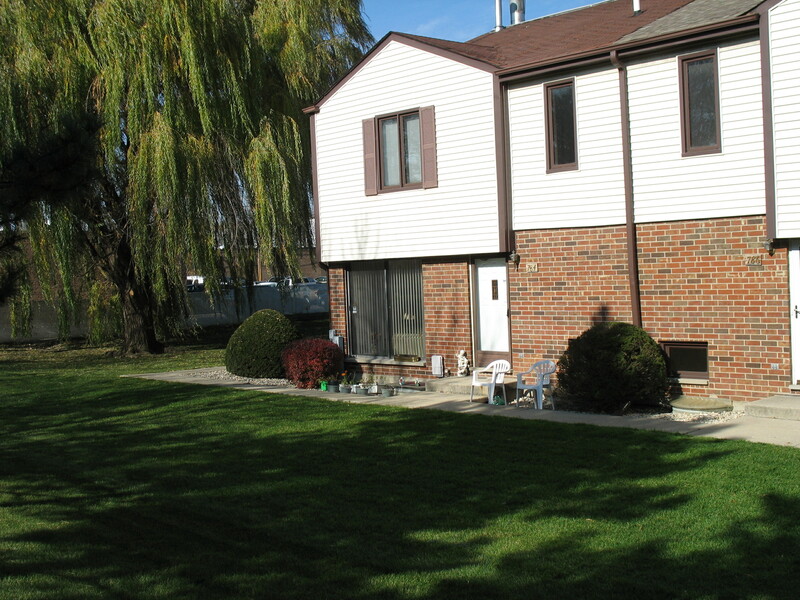 The units got newly remodeled kitchens and bathrooms, as well as new windows and furnaces. New flowerbeds in front of the building and a cheerful color scheme throughout the building completed the transformation. After a long purchasing process that began in May 2000, the building opened for tenants in July 2003. Its location is ideal for mothers with school-aged children as it is located just blocks from both elementary and junior high schools, as well as from the downtown shopping area. Jackson St. and Dewey St. In fall 2002, a local real estate investor who had heard of HODC through friends, contacted HODC about donating these buildings. The investor transferred ownership of the properties in Evanston located on Jackson and Dewey to HODC, making them our fastest acquisitions to date. In return the donor received a State of Illinois income tax credit in addition to a federal tax deduction. HODC rehabilitated the buildings and moved-in large families with children. The apartments have three-bedroom units with large kitchens, living rooms and dining areas. The hardwood floors and crown molding give the units a warm feeling. In 2004 two more properties were donated including a vacant lot. The City of Evanston provided funding to rehabilitate the unit interiors. The rehabilitation of Claridge Apartments was completed in February 2002, and the building opened for tenants March 1. Managed by HODC, Claridge provides affordable housing for 48 low-income individuals, most of whom work in Evanston. 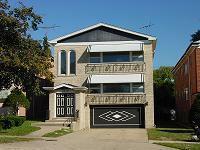 The single room occupancy building is located in Evanston's Lakefront Historic District. Improvements included creating kitchens and bathrooms in each apartment along with the installation of an elevator and the creation of four handicap-accessible units. Principal funding contributors include the Illinois Housing Development Authority, The Richman Group Capital Corporation, Harris Bank of Wilmette, the City of Evanston's HOME program, Federal Home Loan Bank, Local Initiative Support Corporation, the U.S. Department of Housing and Urban Development, and the Illinois Department of Commerce and Community Affairs. Sunset Woods opened for residents in August 2002. The development is home to low- and moderate-income seniors aged 62 years and older. In 1998, through a competitive bidding process, the City of Highland Park selected Intershore Housing Partners L.L.C.-a joint venture of HODC and Brinshore Development-to develop the property with the Highland Park Housing Commission. The three-story concrete structure with brick and limestone exterior is comprised of 48 condominiums and 12 rental units. Common areas include a meeting room, library, central dining room, sitting areas, laundry rooms, and a medical screening room for case management services or other private service providers. Financing for Sunset Woods included a construction loan from Harris Bank and permanent funding from the Illinois Housing Development Authority Trust Fund, Lake County HOME funds and the Federal Home Loan Bank. HODC manages the rental units. HODC purchased and rehabilitated this four-flat building in 2000 with funding from local investors and the Chicago Community Loan Fund. 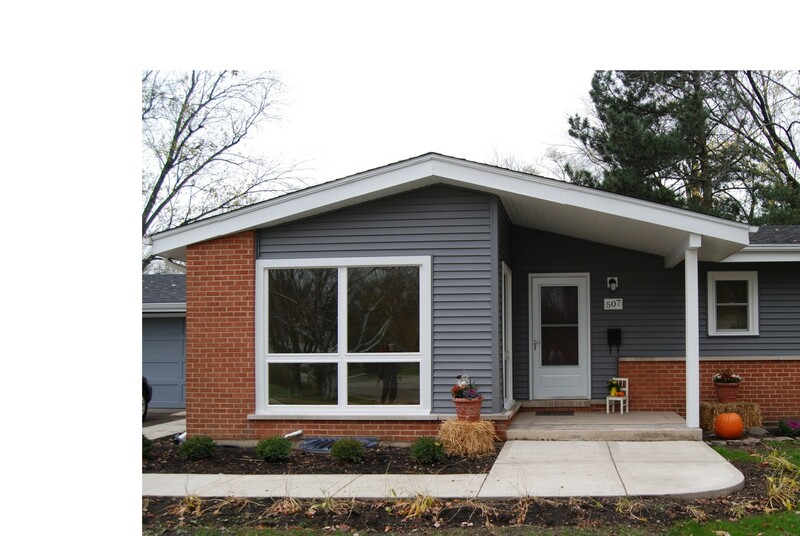 In 2010 the City of Evanston provided HOME Program funds to gut rehab the unit interiors and install all new mechanical systems. In addition, a solar thermal hot water heating system was installed thanks to funding from the Illinois Clean Energy Community Foundation. HODC purchased 743 Brummel in 1998. 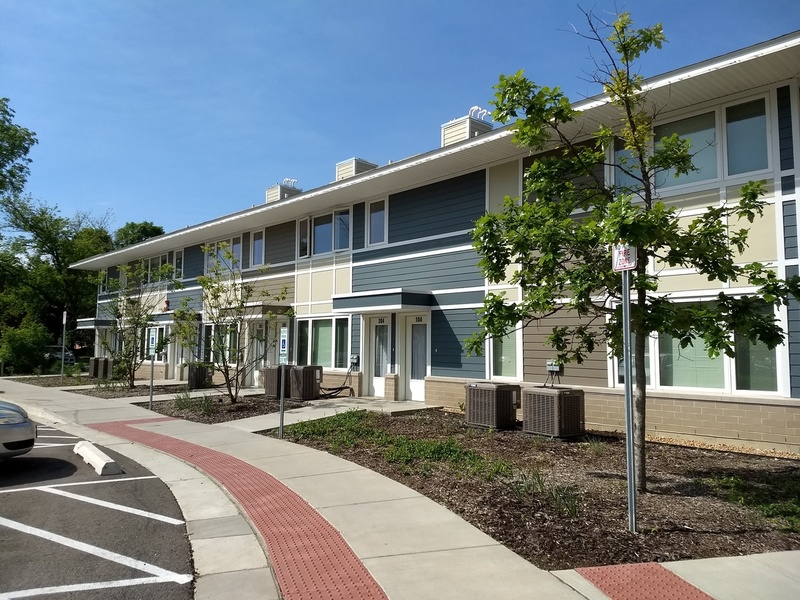 HODC extensively rehabilitated the building with funding from the City of Evanston, Bank Financial and the Illinois Housing Development Authority's Affordable Housing Trust Fund. 743 Brummel is a mixed-income building containing one-bedroom and two-bedroom apartments for working families. Ms. Martha Drake of Skokie, IL generously donated funds to HODC for the purchase of this building in 1994. HODC rehabilitated the building with funds from LaSalle Bank, the Village of Skokie, the Illinois Housing Development Authority's HOME program, and the Federal Home Loan Bank. The property was refinanced and rehabilitated in 2008 with funding from the American Recovery and Reinvestment Act. The entire interior was redone and units were made handicap accessible. Purchased in 1987 with equity from local community investors, 4831 Conrad was refinanced and rehabilitated with funding form the Community Investment Corporation in 1997. The building is comprised of large, two-bedroom units. The property was refinanced and rehabilitated in 2008 with funding from the American Recovery and Reinvestment Act through the Illinois Housing Development Authority. All mechanical systems were replaced and apartments were upgraded.